Do you want to write and publish your own book? Well Charles Freeman, Marquita Smith and K. Murry Johnson are SELF-PUBLISHER’S and they did! 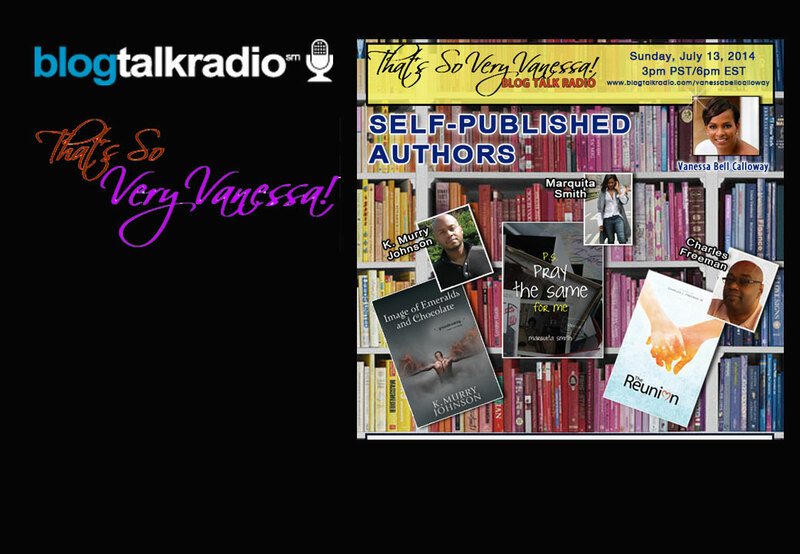 Tune in and learn what they wrote about and how they went about publlilshing and marketing their own books and brands. The Reunion, P.S. Pray the same for me and Image of Emeralds and Chocolate. It’s no easy feat but it can be done!!!! I just listened to Charles Freeman spoke about his book “The Reunion”. Thank you for sharing information on your work ethic, the hours you spend on writing your script, the research that you did prior to going with the publisher you chose etc. I thought that you provided the listeners with valuable information on self-publishing which was quite beneficial to me because I am looking to go that route shortly. I particularly like the idea of owning your copyright and the means of publicity you described. Thank you so much and much success on your book.